On Friday 11th May we will be delighted to welcome to Abergavenny a group of professional musicians who will be giving an exciting demonstration to local school children. The Carnival Band, a group of five Musical Explorers, five voices, twenty five instruments, five dozen styles of music and five hundred fresh ideas for music-making, will combine music from across the centuries with sounds from around the world in an irreverently joyous mix! The event will take place in the Priory Centre set within the site of the original monastic buildings of St Mary’s Priory. Local primary schools have been invited to take part in this free interactive session which has been organised by the Learning Service of St Mary’s Priory. A cornucopia of instruments includes the historical (shawm, flemish bagpipes) the exotic (‘ud, djembe) and the familiar (electric guitar, double-bass). 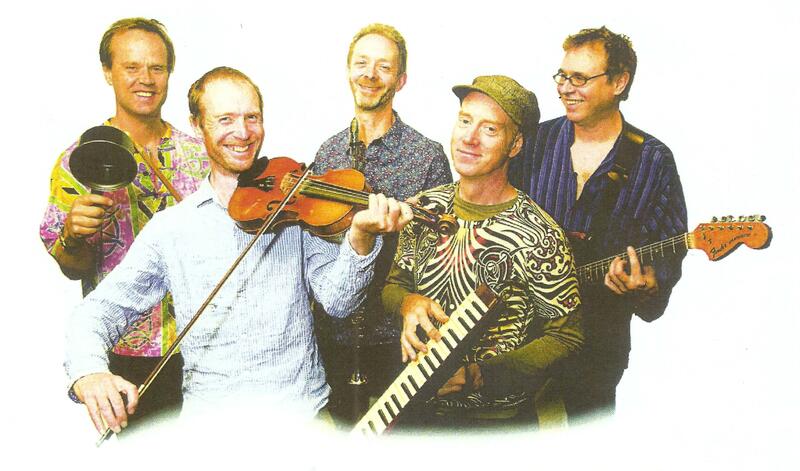 The Carnival Band performance will be a kaleidoscope of instrumental colours, musical influences and moods, sustained by superb musical skill and enlivened with humour. The Learning Service organises regular workshops for primary schools from Monmouthshire, Torfaen, Newport, Powys and across the border. For further details of workshops please visit the website or contact the Learning Service Secretary. St Dwynwen’s day is celebrated in Wales on 25th January and commemorates the patron saint of friendship and love. The popularity and celebration of St Dwynwen’s day has increased considerably in recent years, with special events, such as concerts and parties, often held and greetings cards printed. Although still not as popular as St Valentine’s Day in February, St Dwynwen is certainly becoming better-known among today’s population of Wales. 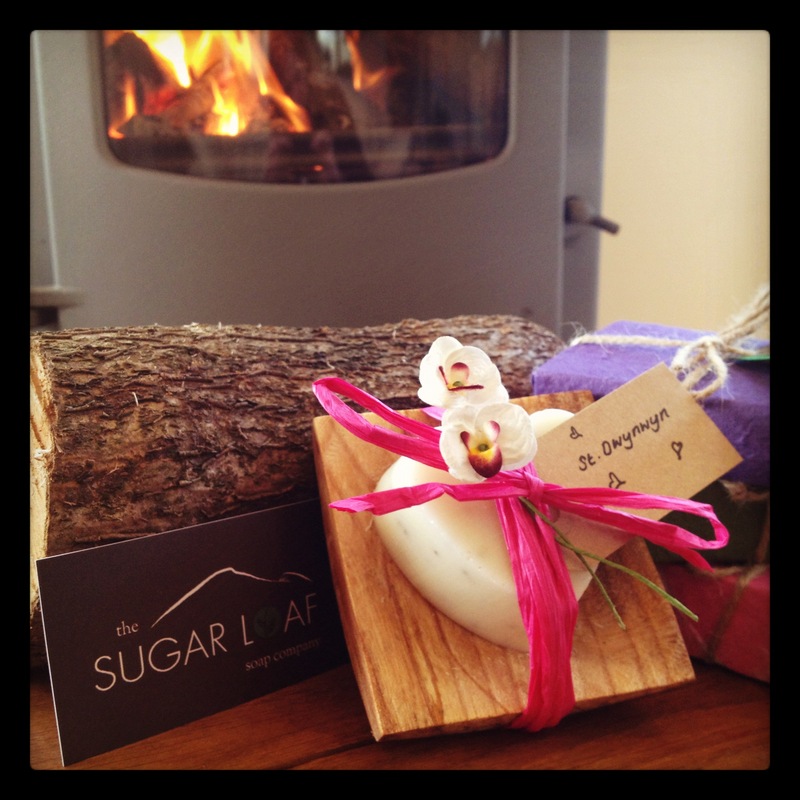 To mark this special romantic day in the Welsh calendar, Sugar Loaf Soaps has made a delivery of gifts for those wishing to treat their loved ones. Sam Jones, owner of the company which is based in Crickhowell, says “our limited edition St Dwynwen and St Valentine’s Day gifts are both sweet smelling and beautiful. Why not treat your loved one to one of our little cotton bags containing two 30g heart soaps and a handful of fragrant rose buds? Decorated with a hand-crafted wire heart pendant, this gift would make a room or wardrobe smell gorgeous until the recipient is ready to use the soap. “Or perhaps you’d prefer a chunky elm soap dish, hand-turned locally by the talented Harry Chapman? The 60g heart-shaped soap smells delicious and is the perfect size to complement this dish. The item is decorated with a natural raffia tie and handmade paper flowers. Dwynwen lived during the 5th century and was, by all accounts, one of the prettiest of Brychan Brycheiniog’s 24 daughters. The story goes that Dwynwen fell in love with Maelon Dafodrill, but unfortunately her father had already arranged that she should marry someone else. Maelon was so outraged that he raped Dwynwen and left her. In her grief Dwynwen fled to the woods, where she begged God to make her forget Maelon. After falling asleep, Dwynwen was visited by an angel, who appeared carrying a sweet potion designed to erase all memory of Maelon and turn him into a block of ice. God then gave three wishes to Dwynwen. First she wished that Maelon be thawed, second that God meet the hopes and dreams of true lovers and third that she should never marry. All three were fulfilled, and as a mark of her thanks, Dwynwen devoted herself to God’s service for the rest of her life. For more information about the Sugar Loaf Soap Company, please visit their website or follow them on Twitter. At the 90th Birthday Celebration following the Diocesan Conference the Bishop of Monmouth, the Right Reverend Dominic Walker, said that we need to give thanks for the past but also look ahead to the future. He has therefore declared 2012 to be the Year of the Pilgrimage. Since opening in 2008, the Tithe Barn has welcomed pilgrims from all over the world who have come to explore the history and heritage of St Mary’s Priory and to enjoy the hospitality we have to offer in the Tithe Barn Foodhall. The age-old practice of pilgrimage is more popular today than it has been for centuries. At a time when the Church – indeed, Christianity itself – seems increasingly exiled and estranged from our culture, more and more people are treading the ancient pilgrim routes, whether they are committed Christians, spiritual seekers or simply curious. And the renewal and refreshment of faith that they find on their journey often outweighs what happens in many churches. Pilgrimage was the Archbishop of Wales' recommended reading in Advent 2011. 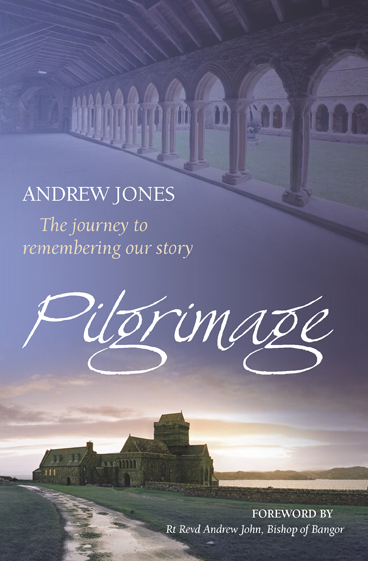 In this book, Andrew Jones shows how pilgrimage has the power to awaken those at all stages of belief to remembering the story of God’s creating and redeeming work in history, the story that tells us who we are, where we have come from and where we are going. The act of remembering it not only offers a life-transforming way out of exile but points to the way home, to the place where we can live an authentic and balanced life. The book concludes with a focus on eight popular places of pilgrimage in the British Isles, drawing out lessons from their history and spiritual heritage that can encourage and inspire us on our own faith journeys. Copies of Pilgrimage, which includes eight different pilgrim encounters from the author’s own experience as a retreat leader, linked to eight sites of pilgrimage, will soon be available from the Tithe Barn. Copies can be pre-ordered by completing the Order Form and sending a cheque for £8.99 made payable to St Mary’s Priory House Company. Delivery of this book will be announced through Twitter and Facebook as well as the Church Pew Leaflet. For more information about the Diocesan plans for Pilgrimage, please visit their website. 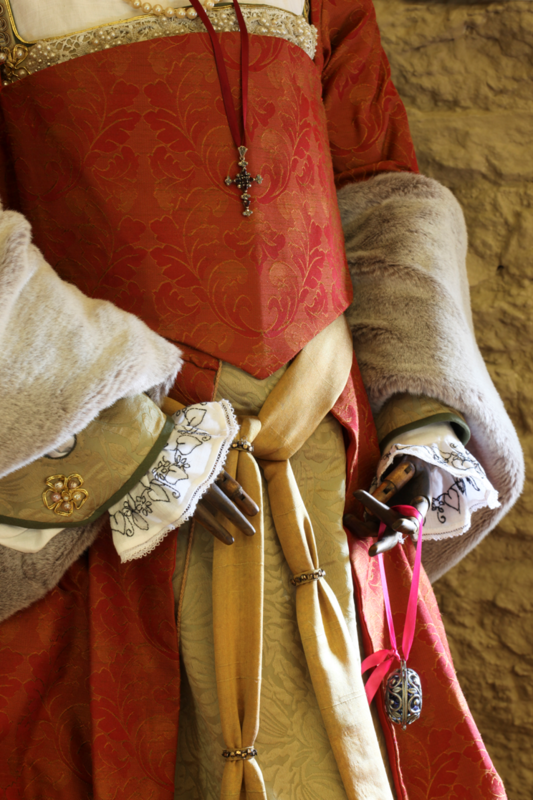 St Mary’s Priory is pleased to announce the launch of the Medieval Fayre in the bustling market town of Abergavenny later this year. The Fayre, which will be held in the splendid grounds of St Mary’s Priory and Tithe Barn, is being organised by the Learning Service which specialises in running workshops for schools. Stall holders are be sought to attend this innovative local event and booking forms are available by e-mailing the Learning Service Secretary. Stalls (£20) will be set up within the Tithe Barn courtyard, an enclosed courtyard lined with hornbeams and beautifully maintained gardens, or in the Priory Centre if the weather is inclement. The St Mary’s Priory Learning Service has been developed as a central component within the Tithe Barn. It aims to deliver a high quality learning provision through a varied range of services including workshops for schools, learning resources and events. The approach defines learning as the context in which we seek to engage, challenge, and inspire minds, young and old alike. The history of St Mary’s can be used with a wide range of other contexts to generate engaging learning pathways: food and cooking, art and music, science, gardening, literacy (e.g. storytelling and story making), art, design and technology, RE to name but a few. It also therefore provides a particularly rich context for cross-curricular and skills focussed work. For more information about available workshops, please click here.